Xero is an online accounting software package designed specifically with small and medium businesses in mind, making it a natural fit for many Kobas users. As cloud-based software, it’s possible for information to be shared between the two packages by what’s known as an API. The following guide will help you set up your Kobas account so that you can push sales and payments data directly into your Xero account. 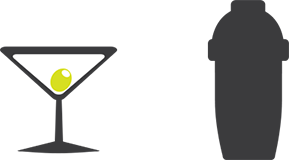 The Kobas Xero application is currently a Public App. This means that Xero and Kobas can only be linked for a 30-minute session at a time. If that times out, it’s necessary to reconnect the two. For this reason, you will find Connect to Xero buttons on any page that Xero information is displayed on, allowing you to quickly connect. Before being able to connect your Xero account to your Kobas account, you will need to access Administration > Integration Settings. To begin the connection, select the Xero tab and then tick the checkbox. This will enable Xero as an active integration. Once switched on, click the Connect to Xero button. You will then be taken to the Xero site, where you will be prompted to login with your Xero credentials. After logging in, you will be taken back to Kobas. In the background, the Kobas API will pull in the data that you need to finish your integration. This includes: Organisations, Account Codes, and Tracking Categories. Where different sites, groups, and businesses can exist within a single Kobas account under an umbrella organisation, Xero separates different businesses in the same group into separate Organisations. After connecting to your Xero account on the Admin > Integration Settings for the first time, all of the organisations within your Xero account will be returned along with a Chart of Accounts. Before Cash Log data can be pushed to Xero via the API, a Xero organisation must be assigned to a venue under Administration > Venue Settings > Financial Settings. This, along with other venue specific settings are detailed under the Venue Settings header below. Each Organisation in a Xero account has its own customizable Chart of Accounts. These are used to categories revenue, liabilities, and expenses. Assigning Account Codes against lead and payment types allows Kobas to post this data straight into a Xero chart of accounts. When first connecting your Kobas account to your Xero account, Kobas will pull in all the Organisations that exist in Xero. You can then assign Account codes for each of your organisations separately using the drop-down menus. To ensure that data is pushed to the correct organisation, you will then need to assign each venue in your Kobas account to the appropriate organisation. To do this, access (Administration > Venue Manager) and select Financial Settings. If Xero is activated in your account and there are multiple organisations in the linked Xero account, you will then need to assign the organisation by selecting from the drop-down menu. Please Note: saving the Xero organisation against a venue is mandatory for accounts that have multiple Xero Organisations. This is required to ensure that data is sent to the correct account. Account Codes are pulled in from Xero on a per-organisation basis. Using the drop-down menus you should assign an appropriate account code for each payment and lead-type. Please note that all of the drop-downs are compulsory; even if you are not using certain features in Kobas, such as Deposits, or Tabs, please assign relevant codes to ensure that in the event that a deposit is received, or a tab is left unpaid, data will continue to send correctly. Xero allows for Tracking Categories to be assigned to invoice line items. Kobas treats these as being used for venue tracking. Therefore, it is possible to pick only one Tracking category from the categories in your Xero account. Once activated. Tracking categories will be available for assignment in the venue manager (Administration > Venues). Access this page and select Financial Settings, tick the checkbox and then assign your tracking category option to the venue. 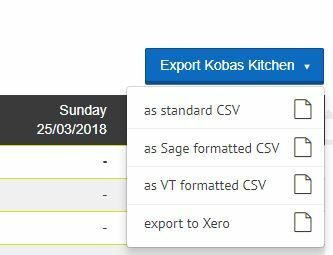 Any time a Xero export is pushed from Kobas for this venue, this tracking category will be assigned next to each invoice line item. You must assign a Xero Contact for invoices to be raised against. It is suggested that this contact be named POS System. A Xero Cash Log push is initiated from the Cash Log Report. (Reports > Cash Log). Once you have selected the date range and venues of your choice and the report has loaded, you will see an Export [venue_name] button. At the bottom of the drop-down menu that appears after this button has been clicked you will see Export to Xero. If you don’t already have an open Xero session, you will to connect to Xero at this stage. If you have multiple organisations in your account, Xero will prompt you to select the organisation that you wish to connect to. Please note that this is a requirement on Xero’s end. If the organisation selected at this stage does not match the organisation saved against that venue in Kobas, Kobas will not send data and you will receive an error message. Its then possible to reconnect to the correct organisation, at which point the data will proceed to send. 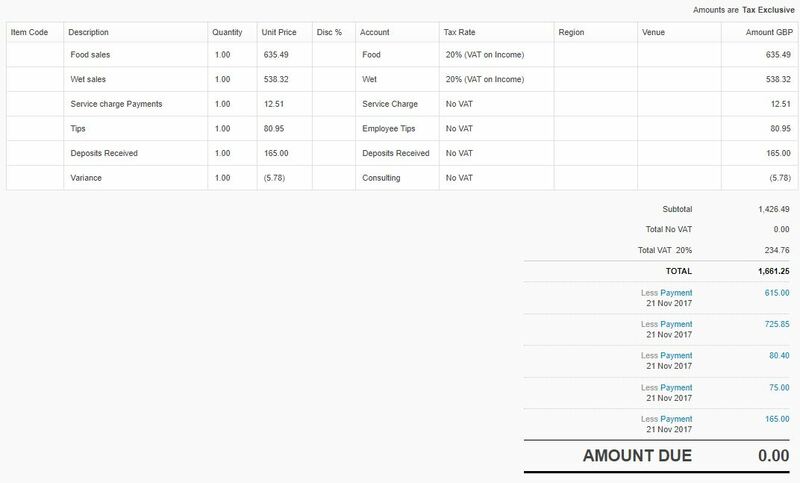 Once pushed to Xero, you will find a paid invoice that looks like the screenshot above. An invoice will be created for each day of your specified date range. Invoice line items pertaining to your sales will be created against the invoice, with payments created for each declared payment method. Variance is accounted for with a positive or negative line on the invoice as appropriate. Slight differences in the way that tax is calculated in Kobas and Xero can cause rounding variances of a penny or two. These are accounted for by a Rounding line on your invoice which is automatically generated when required. In the even of Outstanding Tab Credit, i.e. sales that have been made for which no payment has been received, a negative line item will be added to the invoice to account for the deficit of payments. When the tabs are paid off in the future, a positive line item will be added to the invoice, to account for the surplus of payments to sales on that day.